French criminologist Alphonse Bertillon's (left) techniques for identifying criminals in the late 19th century set the template that police use today. 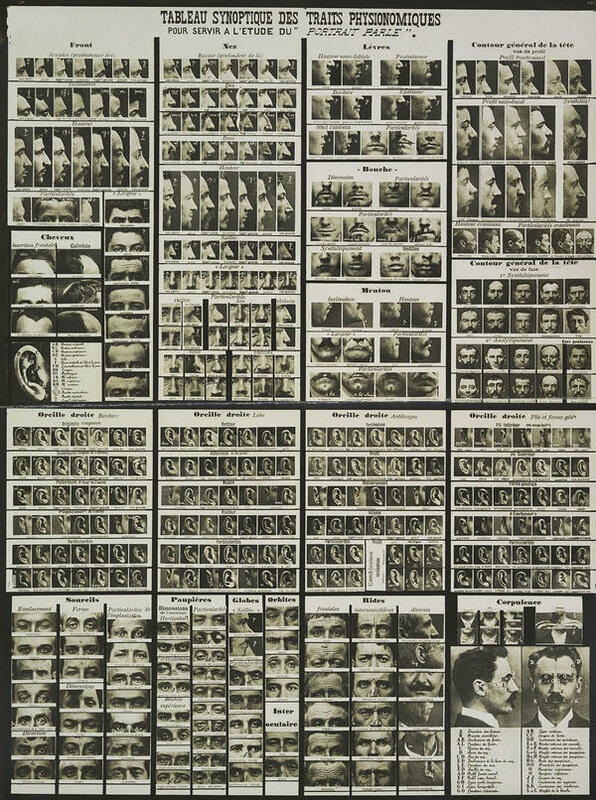 Police stations would hang charts showing rows of eyes, ears, noses and other body parts to help officers identify suspects using Bertillon's system. Wilhelm Figueroa, director of the New York City Police Department's photo unit, says there are three parts of a mug shot the NYPD takes after arresting someone: the front view and both side views. He estimates he has probably taken tens of thousands — and seen millions — of mug shots since he joined the department more than 30 years ago. "No one looks like a criminal per se. There's nothing about a person's face that says, 'This person's a criminal,' " he says. "We're all capable of great good. We're all capable of being bad people." And profile mug shots are capable of helping police tell similar-looking people apart. "Take 10 different people, take pictures of their ears and you'll be to identify each and every one of them because we all have different facets to our ears. Some of us have longer earlobes, some shorter, some thicker, some thinner," he says. 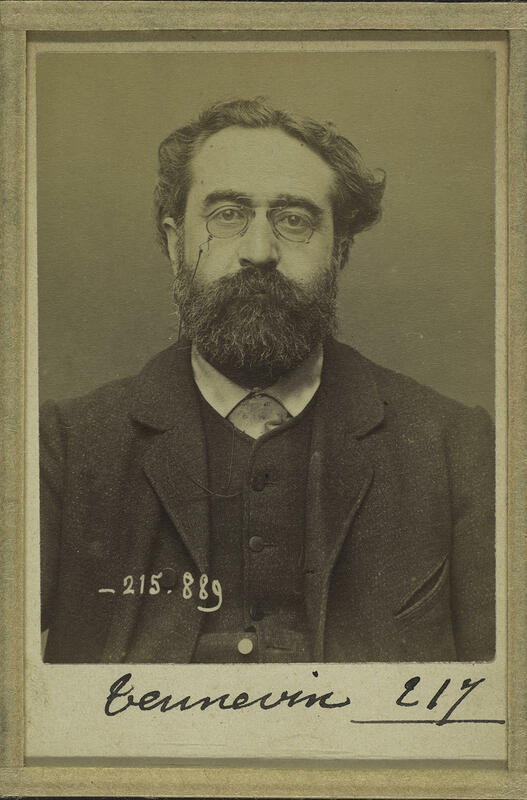 It's an observation that Bertillon championed back in the late 1800s. 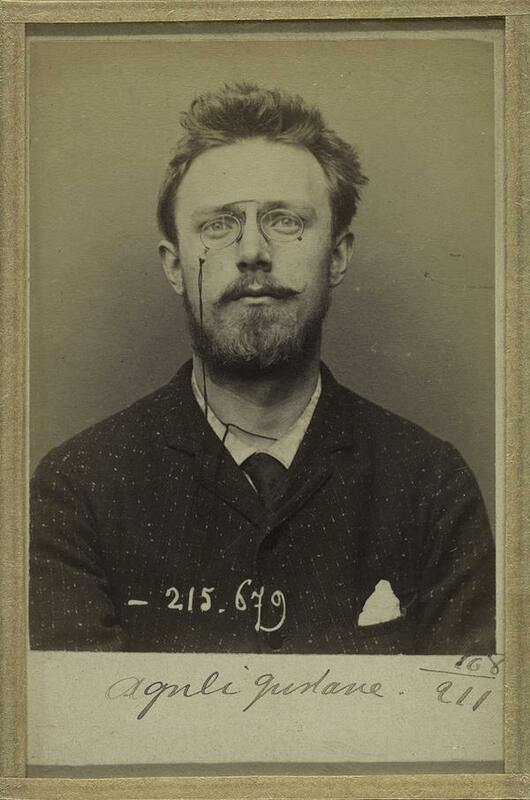 He went on to create a system for identification that the Paris Police Prefecture adopted in 1882, giving rise to the modern mug shot. 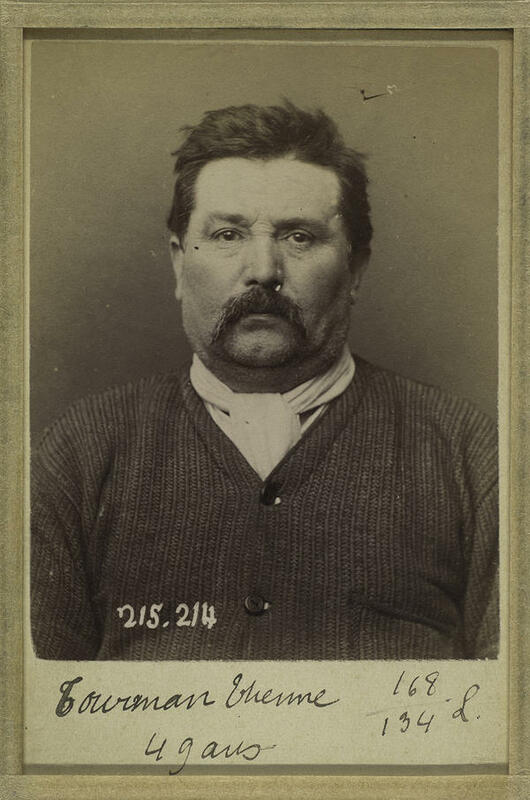 He wasn't the first to introduce mug shots to police, but he did standardize the way photos were taken and added the profile mug shot so police could zero in on a suspect's unique features. "Men can grow facial hair to cover their chin, but you can't change the shape of your nose except through surgery. 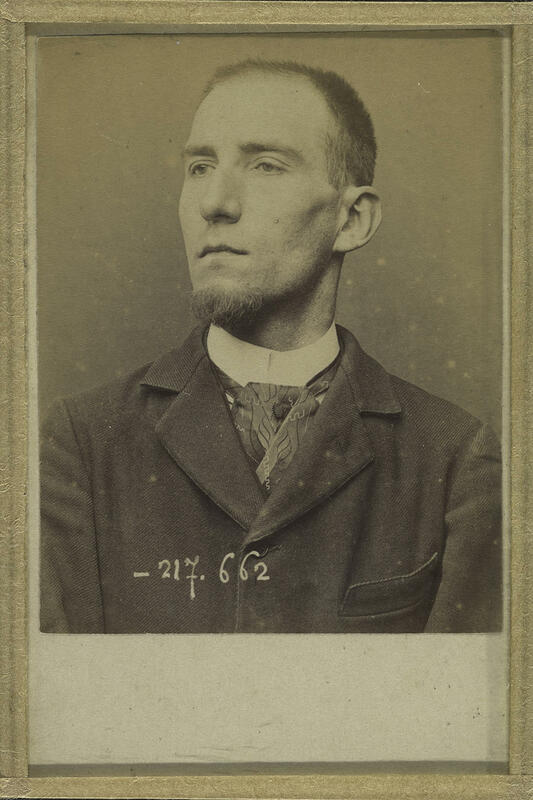 And you can't change the contours of your ear," explains Mia Fineman, one of the curators for the Met's new photo exhibition Crime Stories: Photography and Foul Play, which features some of Bertillon's work. The mug shots were part of a broader system of measuring and comparing body parts to help police departments organize thousands of criminal records. 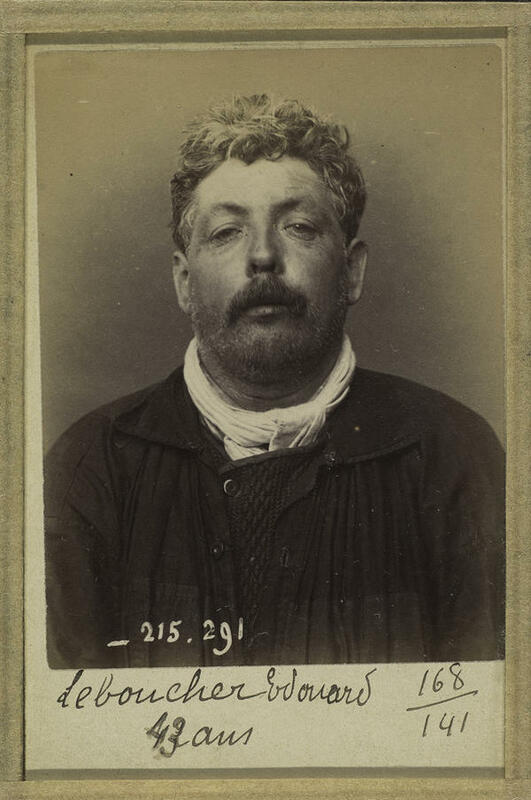 In 1884, Bertillon's system helped Parisian police identify 241 repeat offenders. His work became so famous that in Arthur Conan Doyle's The Hound of the Baskervilles, a client offends Sherlock Holmes by calling him "the second highest expert in Europe" — after Bertillon. His reputation, though, faded as more police departments learned that fingerprinting was a simpler way to identify people. 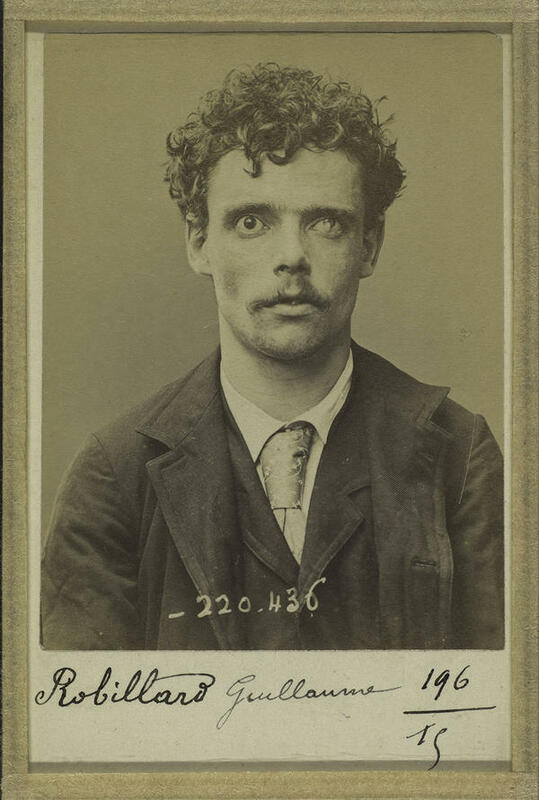 Still, his style of mug shots became the standard. Jonathan Finn, a police photography expert who wrote Capturing the Criminal Image, says he is "still very much with us" today in other ways. "Whenever you go through an airport or at a train station and anything else and somebody asks to see your identification document, that all has roots in the late 1800s and the work of people like Bertillon and his contemporaries," Finn says. 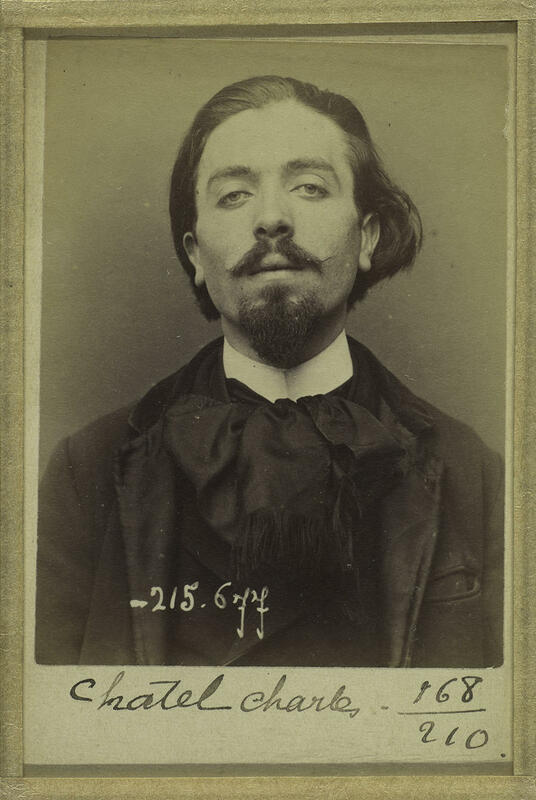 Figueroa says he thinks of Bertillon whenever he comes across an interesting mug shot. "It could be an interesting curve of the ear, a unique tattoo. It could be a unique port-wine birthmark," he says. Even in an age of DNA testing and iris scans, he says he doesn't think Bertillon's photo legacy is going anywhere. "A victim still records the person had black hair, the person had a tattoo that said 'Mom' on their right shoulder. We still live in a very visual world," Figueroa says. 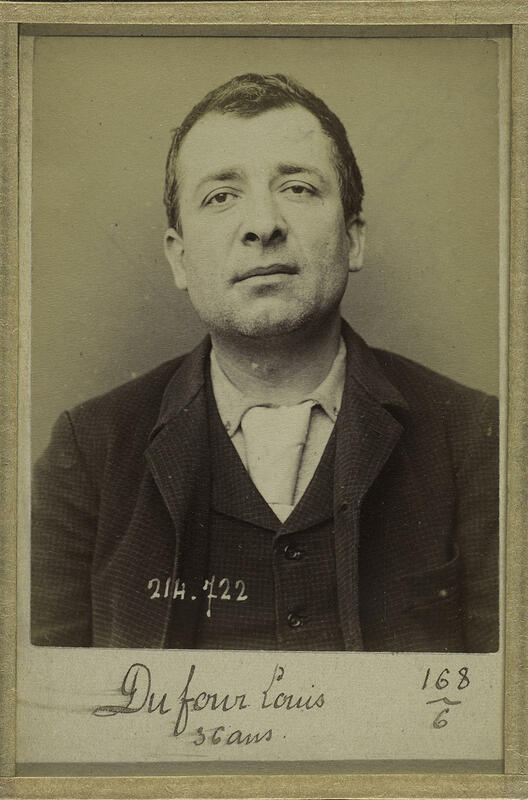 It's one that may have forgotten about Bertillon's name — but is still holding on to his mug shots. And here's another story from New York City. This one's about the art of the mug shot. 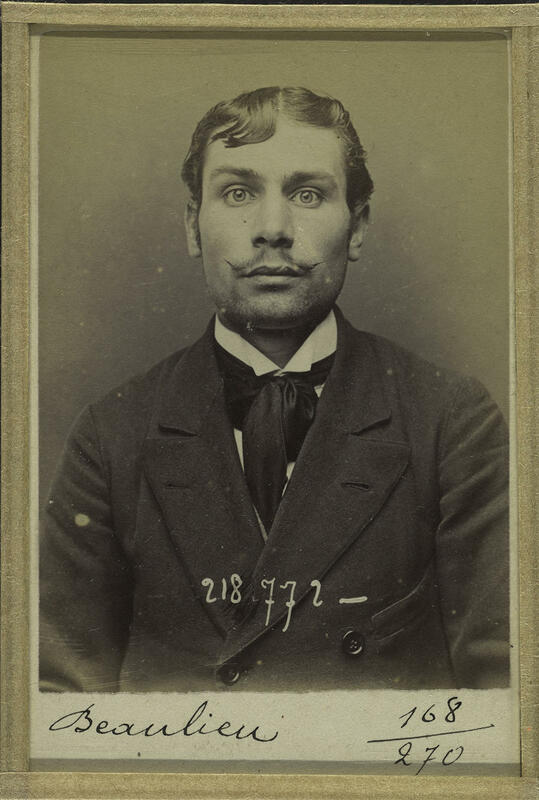 Police, of course, have used mug shots to find crime suspects for more than a century. 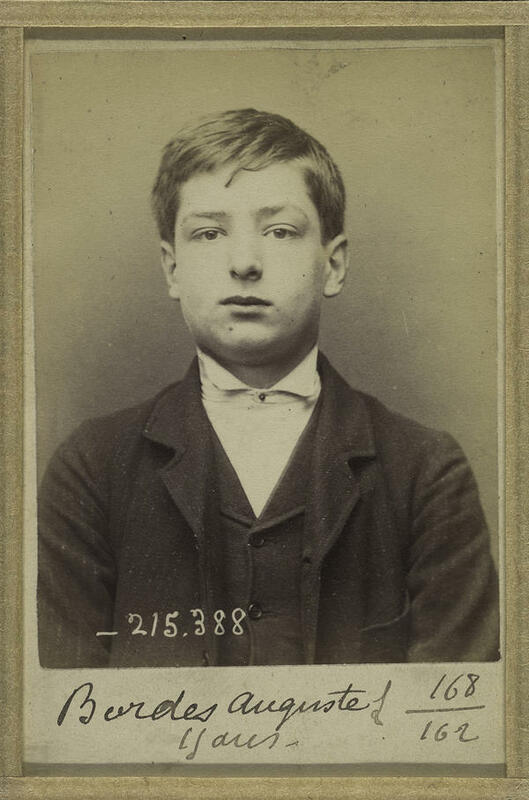 And the practice of photographing a person's face and profile dates back to Paris in the late 19th century. Now some of those early mug shots are on display at the Metropolitan Museum of Art in New York. NPR's Hansi Lo Wang reports. 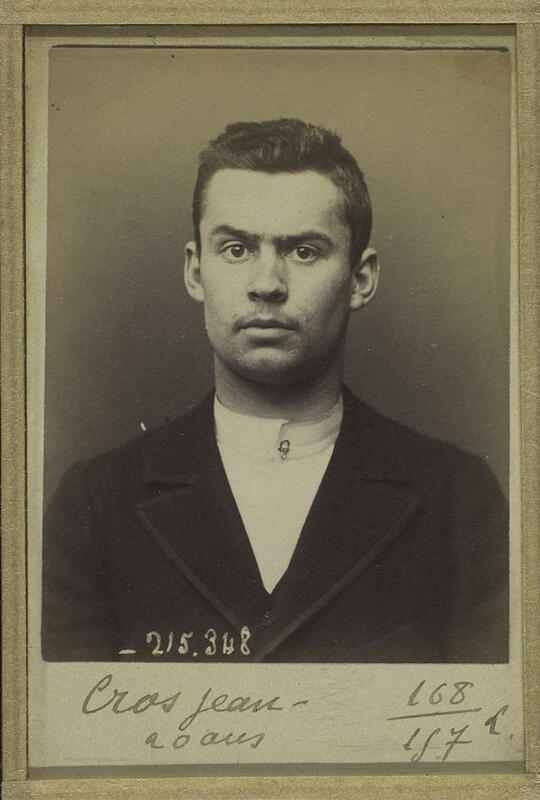 HANSI LO WANG, BYLINE: The black-and-white mug shots now hanging at the Met were once on the cutting edge of how police identify criminals. 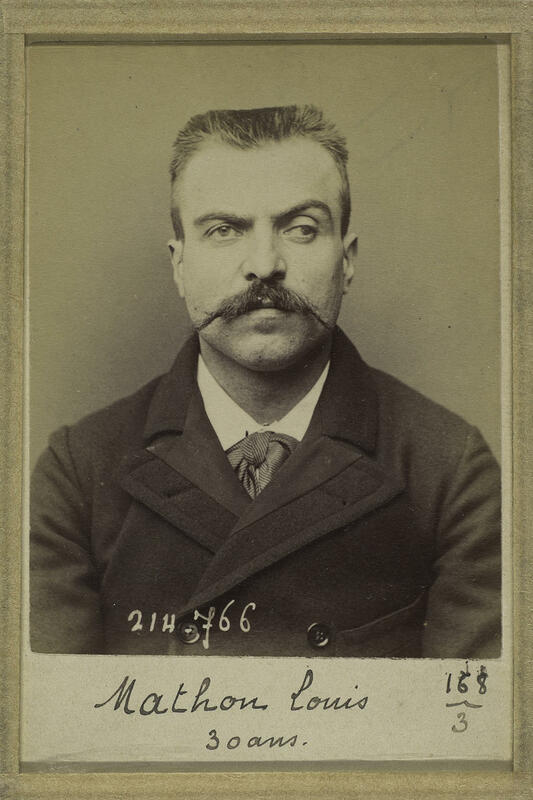 They were taken by a French criminologist named Alphonse Bertillon, and his techniques set the template that police use today. WILHELM FIGUEROA: I would ask you to stand with your toes on the white tape that you see on the floor. WANG: This is Wilhelm Figueroa, director of the New York City Police Department's photo unit. We're standing near holding cells in the basement of NYPD's headquarters, and he's walking me through the three parts of a mug shot the department takes after they arrest someone, the front view and both side views. FIGUEROA: Turn to your left. Figueroa says he's probably taken tens of thousands of mug shots and seen millions. He's been doing this for more than 30 years, so he's learned some lessons. FIGUEROA: No one looks like a criminal, per se. There's nothing about a person's face that says this person's a criminal. We're all capable of great good. We're all capable of being bad people. WANG: And profile mug shots are capable of helping police tell similar looking people apart. FIGUEROA: Take 10 different people. Take pictures of their ears, and you'll be able to identify each and every one of them because we all have different facets to our ears. Some of us have longer earlobes - some shorter, some thicker, some thinner. 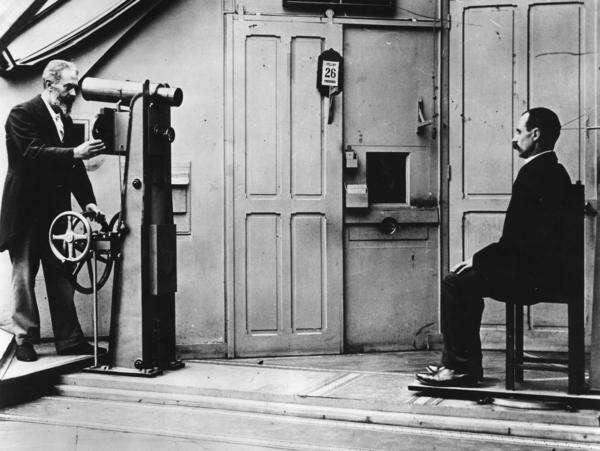 WANG: It's an observation that Alphonse Bertillon championed back in the late 1800s. He went on to create a system for identification that gave rise to the modern mug shot. 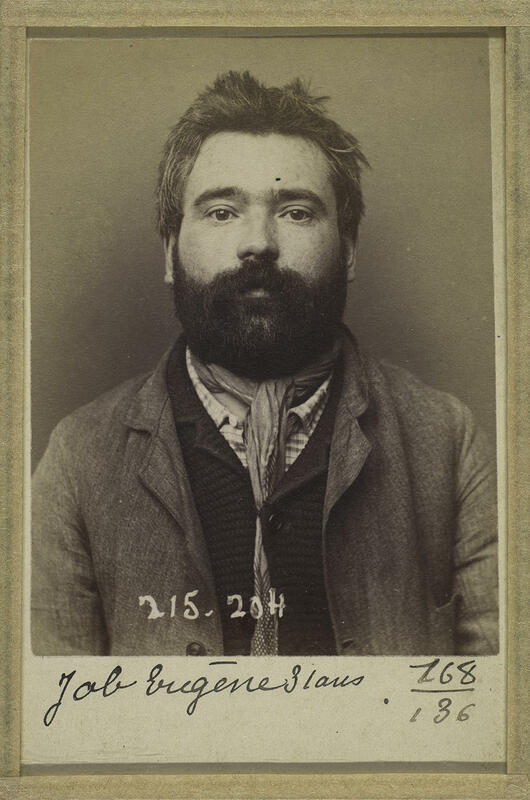 MIA FINEMAN: Here - these pictures were used as illustrations in Bertillon's book, explaining his whole method of criminal identification. And here he's actually measuring different parts of the criminal's body. WANG: Mia Fineman is one of the curators for the Met's new photo exhibition that features of Bertillon's work. She says he wasn't the first to introduce mug shots to police. But he did standardize how photos were taken and added the profile mug shot so police could zero in on a suspect's unique features. FINEMAN: Especially the nose because men can grow facial hair to cover their chin, but you can't change the shape of your nose except through surgery, and you can't change the contours of your ear. WANG: It was all part of a broader system of measuring and comparing body parts to help police departments organize thousands of criminal records. In 1884, Bertillon's system helped Parisian police identify more than 200 repeat offenders. His work became so famous that in one of Arthur Conan Doyle's stories, Sherlock Holmes was once called the second-highest expert in Europe after Bertillon. His reputation, though, faded as more police departments learned that fingerprinting was a simpler way to ID people. 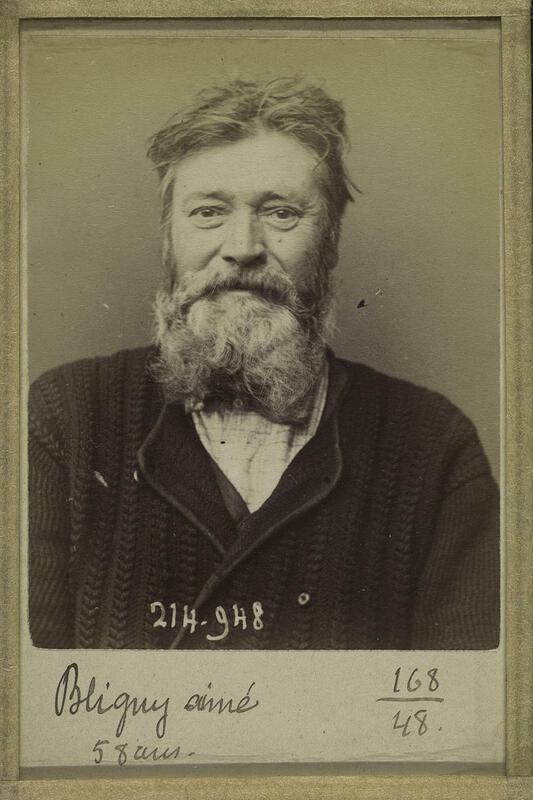 Still, his style of mug shots became the standard. And Jonathan Finn, a police photography expert who wrote "Capturing The Criminal Image," says he is still very much with us today in other ways. 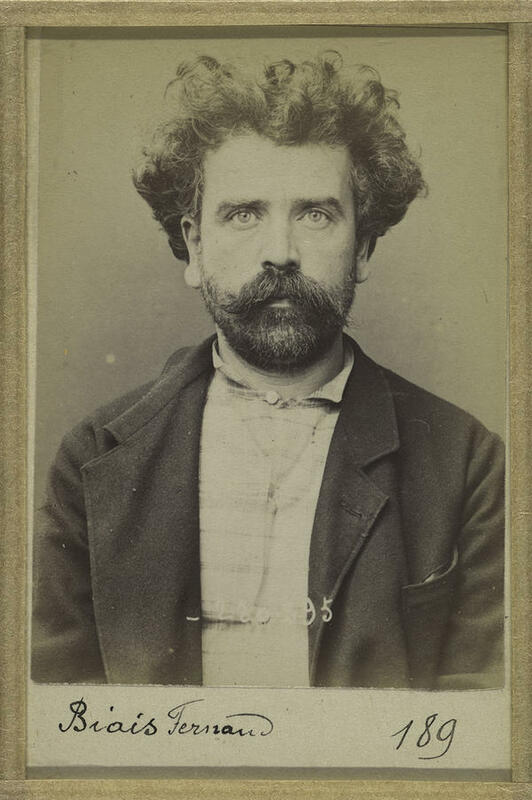 JONATHAN FINN: Whenever you go through an airport or at a train station or anything else and somebody asks to see your identification document, that all has roots in the late 1800s and the work of people like Bertillon and his contemporaries. 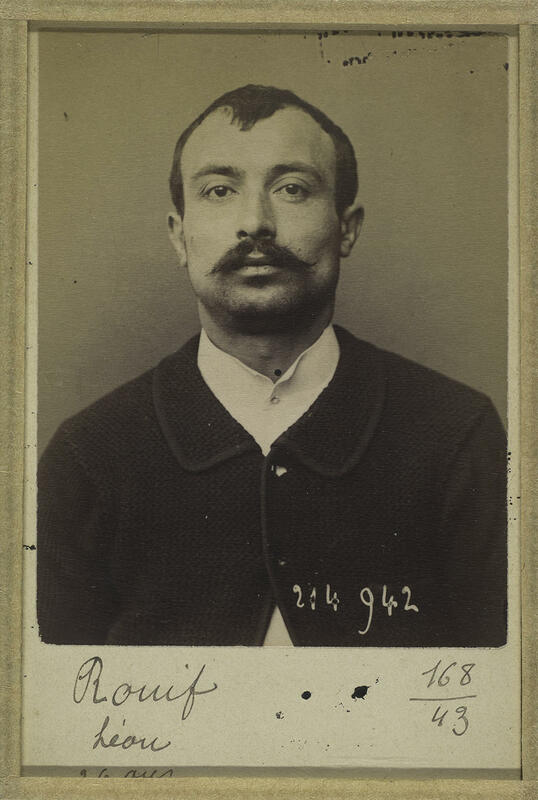 WANG: Back at NYPD headquarters, Wilhelm Figueroa says he thinks of Bertillon whenever he comes across an interesting mug shot. FIGUEROA: It could be an interesting curve of the ear, a unique tattoo. It could be a unique port-wine birthmark. WANG: Even in an age of DNA testing and iris scans, he says he doesn't think Bertillon's photo legacy is going anywhere. FIGUEROA: A victim still records - the person had black hair - the person had a tattoo that said mom on their right shoulder. We still live in a very visual world. 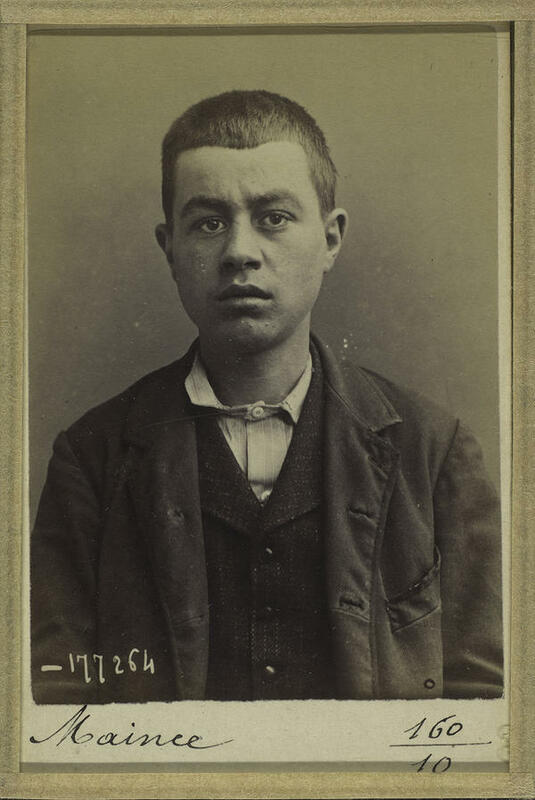 WANG: One that may have forgotten about Bertillon's name but is still holding onto his mug shots. Hansi Lo Wang, NPR News, New York. Transcript provided by NPR, Copyright NPR.